They say that things move in seven year cycles. Although the blog has been in existence since 2007, KingstonCitizens.org has been at it now for just about that long. …and so, it is time now to move along. To pass the baton and to witness future new and exciting citizen initiatives in the city of Kingston. It’s been a full, rich experience with so much to be grateful for. I leave you with this blog, filled with wonderful writings by citizens since 2007. The Ward Yahoo! Groups will remain open for citizens to participate and to encourage ward-centric dialogue throughout the city with their elected Alderman. A very special thanks to all of the citizens who lent a hand, had a innovative idea or shared their personal vision for the city of Kingston. Below are some of KC.org’s “Best of” accomplishments. Enjoy, and keep the fire burning Kingston citizens. Where it all began. With a public meeting to collect petition signatures asking the Citgo Station on Broadway and W. Chester Street to stop selling dangerous knives to minors in Ward 9, a monthly meeting on a relevant topic in the city of Kingston was organized for over a year. With experts as special guests, residents learned about Mandatory Leaf Bagging, GAR Associates and the reval, Comprehensive Planning and much, much more. Many great resident ideas became programs and even businesses, including the current Organic Buying Club organized by Jennifer McKinley-Rakov. PlanKingston.org was a website completely dedicated to encouraging a comprehensive plan in the city of Kingston. Established in 2009, this citizen initiative created “Kingston2020” (get it?) that led to the City of Kingston applying for $50,000 from the CDBG for monies to go toward a consultant and some visioning. Low and behold, they won for a Comprehensive Plan back then. Through the grapevine, though – we heard that our planning department learned that the funds were now not available to be used for a CP (I have never quite understood how a grant application could be submitted, won, awarded then taken back on grounds that the idea didn’t qualify. Kind of strange, right?). Instead, they had decided to use the grant award twoard hiring what was to be an “Uptown Manager”. Business districts in the Midtown and Downtown area were unhappy to not be included – and eventually, the idea expanded to include all three business districts. The city applied for an additional $50,000 to create the “Main Street Manager” position filled by Nancy Donskoj. Frustrated by the lack of response by the city of Kingston to initiate a Comprehensive Plan, KingstonCitizens.org hosted a visioning session to show how simple it really would be, titled “Ward 9 is Mine!” to focus on Broadway between Brewster and W. Chester Streets. This successful event was moderated, citizens envisioned the changes and it was all documented both with text and a mural painted by two local artists. The mural now hangs in the conference room at the Kingston Land Trust. 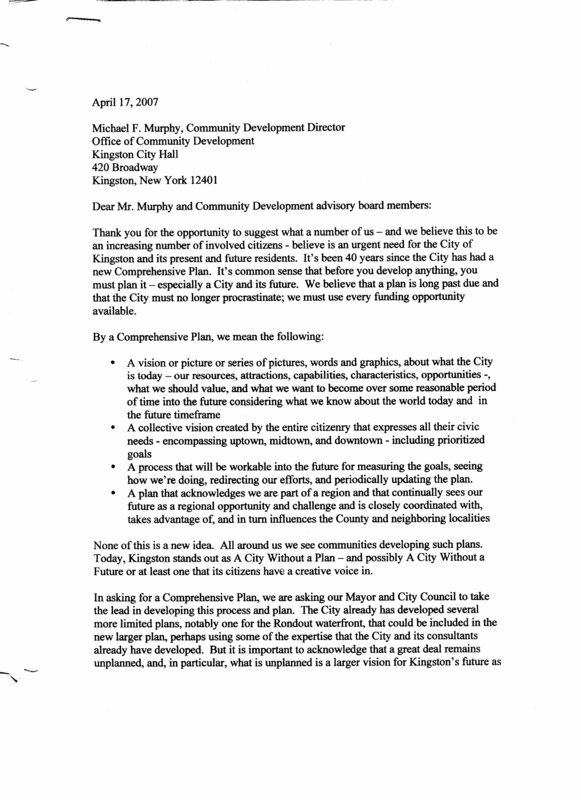 Stop CVS and Replan/Revitalize Uptown Kingston! 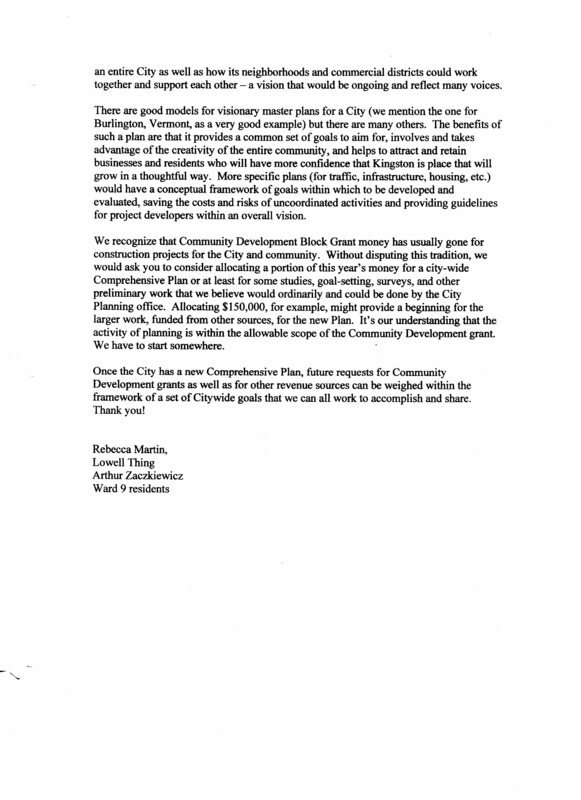 Several years back, CVS proposed to build a new location in uptown Kingston. Residents all over the city were upset by the lack of vision of our city government at that time, and some pointed out their concern of potentially losing our local pharmacy Nekos-Dedricks on North Front Street with what would be three corporate pharmacies within a 1/2 mile radius. We saw it as another opportunity to illustrate the need for an updated comprehensive plan. A petition was drawn asking the city for a six month moratorium on any new development on a section of Washington Ave. By utilizing a Greenway Grant that the city had acquired, we asked for this along with a request that our planning department organize visioning sessions as an excercise (if nothing else) for the said location. Led by several of our alderman, we had made quite a bit of positive headway. In a turn of disappointing events, the same public officials collaborating with our citizen effort at the last moment during the council vote, requested a moratorium excluding CVS which of course, passed unanimously. Although the process strained many relationships between citizens and their elected officials, it was an excellent illustration of a well orchestrated citizen movement. One of the things that came out of the CVS disappointment was an initiative by KC.org called “Stop, Shop and Get to Know”. Here, we could highlight local business (and we began with Nekos Pharmacy) to encourage residents to shop local. One of the great things about each week’s featured business is that they would provide us with an incentive for shoppers (10% off of this or that) that was really great for citizens. 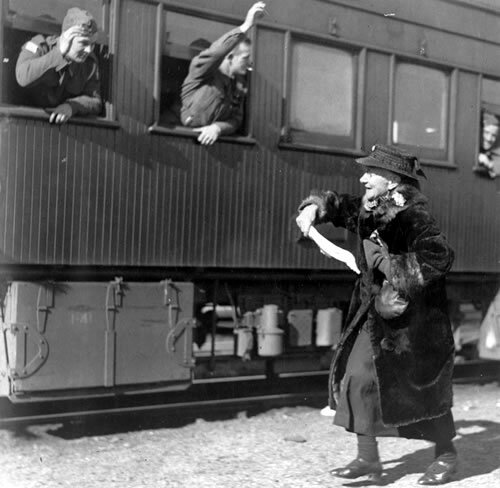 When the Main Street Manager blog and newsletter came about, Nancy Donskoj picked up the idea and ran with it which we were very pleased by. Today, a featured business or person in the “People who make Kingston special” section of her weekly is shared with a growing mailing list. Years ago, the Kingston Victory Garden Project took hold in Kingston that created a resurgence of gardens for both homes and schools. Gardens in Kingston is now common place with gardens now in almost all of our schools, an Urban Farm in Midtown (South Pine Street City Farm) and other initiatives and programs that followed such as Healthy Kingston for Kids. We’re very proud of the great success we’ve had here.